A GeekyMomma's Blog: Will They Arrest Me If I Try? Will They Arrest Me If I Try? Listened/watched to a conference session podcast? Watched a live streaming (uStream, perhaps) conference session? Recorded a session to share with others in it’s entirety? Recorded a session to edit to create a staff development piece? A quick scan of my blog reader a post caught my eye. It was this post by Wes Fryer about how ISTE has established new policies on video/audio recording sessions without the consent of BOTH the presenter AND ISTE. Wes does an awesome job of clearly explaining the issue, citing sources and providing screenshots. Take a moment to read Wes' post. So, I’m thinking… Wha? Huh? Ok, if the presenter doesn’t want the session recorded that makes sense and could/would certainly express that in the presentation or when asked to sign a release. But why does ISTE think it has rights to these presentations? I mean, does giving presenters a free registration to these conferences mean they are being paid? Are the presenters asked to sign a W-2 form? That's another topic, but most people don't realize that presenters are only provided free conference registration. Miquel’s post was a perfect supplement to Wes' post because it not only summarized Wes’ post and got right on what we can do about it. I love Miguel’s idea about writing a letter to ISTE and he even gives an example for readers to copy and modify. I did exactly that below. If you have, then I urge you to read Miguel’s post and write a letter to ISTE. Here is my letter. What will your letter say? Is an ISTE member, educator, presenter and edu-blogger, I was disappointed to read that full video/audio capture of NECC sessions and activities is "strictly prohibited" without the "express permission from BOTH: 1) the session presenter(s), and 2) ISTE." This severely compromises the ability of education bloggers and podcasters to broaden the reach and impact of information, ideas, and best practices shared at the event, limiting us to simple text narrations. In fact, allow this to be a decision that the presenter makes in conversation with his/her participatory audience. IT IS THE PRESENTER'S WORK, AFTER ALL. As an educator--teacher, administrator, edublogger and learner who has internalized the ISTE Standards--I challenge you to set aside your fears and reconsider your policy. I intend to encourage all educators to reconsider their participation in future NECC Conferences. I am already reconsidering my membership in ISTE next year if this is the direction of thinking that ISTE is moving forward with. Adding barriers to professional development is NOT consistent with professional ethics. 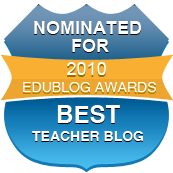 I encourage you to respond to this letter via my blog, at http://macmomma.blogspot.com or to post a response on your own ISTE Blog. If I have misunderstood the policy, I hope you'll set me straight. Thank you for taking the time to review the contents of this email during such a busy time. However you choose to respond to me or others, I do expect that there will be, at the very least, a public response. I like your Bart Simpson at the board pic! 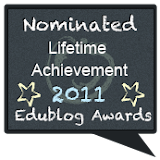 Wondering why you still sport the NECC 2008 Ning badge on your blog? I don't think presenters even get a free registration to NECC. There may be some who get a stipend like invited keynotes and spotlights, but most presenters have to pay the registration costs I believe. Good catch! This all came up so suddenly, didn't think about it but now that you brought it my attention, I am thinking about it. I think I will leave it there and here's why. I am still going to NECC. Costs are all paid, commitments are made and there is still much value to be had. What has not changed is that I do still want to network with those people who are a part of the NECC Ning as well as the other online and offline groups I've collaborated with recently and over the years who will meet at NECC. I think writing a letter to ISTE is a good proactive first step. Next may be yanking my ISTE membership and finding other "more open" types of conferences, but at this point, I believe pulling myself out of all things NECC would be against what I'm trying to advocate for. 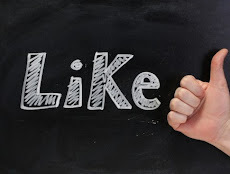 Let's give ISTE a chance to respond. Thanks for your thought-provoking comment. ISTE is a member organization. This is not "us" against "them". As a member, I want to make sure that these policies are discussed and changed if necessary. This is a perfect opportunity for all ISTE members to make their voices heard - so now seems like to get involved, not pull out! Sure, letters are good, but how about also coming to the ISTE Member Welcome session Sunday afternoon and state the case there? Presenters must register to attend NECC. Presenters who are ISTE members may register at the Super Early-Bird rate of $205 at any time. Non-member presenters may register at the Super Early-Bird rate of $285 at any time. 3. Select all appropriate Profile tags for membership and confirmed presenter status. Housing is separate from the conference registration process. Visit Travel for a list of conference hotels and to reserve a hotel room. NECC hotel rooms fill up quickly, so be sure to make your reservations as early as possible. Thanks for the information. Even bigger shame on them! Maybe I'm missing something, but I really don't see this as much of a problem as others. Aren't we in this to share information and learn from each other? Sylvia, that was a good reminder to us all. I have been reading various blogs, holding my opinion back until I actually experienced NECC first hand. 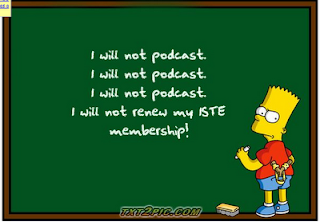 But you are right, we are ISTE. Let's get the policy changed. I will put the ISTE welcome on my to-do list for NECC. Glad you posted this. I'll be writing them as well, asking about this policy before I decide about next year's membership. I cannot make it to the welcome session, but my voice will be heard in a reasonable manner. Let's keep the discussion civil - unless they decide to keep the policy - then we can fire up the flames if need be. Unfortunately I won't be at NECC, the cost from Australia was a little too prohibitive this year. However, I don't think they ought to have a right to veto the recording and distribution of presentations. I'm not presenting there, but I know at most conferences I present at I'm not actually being paid to do so. I'm certainly not signing any official contracts to present, so legally I don't know that they could enforce this rule. If I as the presenter choose to allow the recording of my session, and the conference organisers (whoever they might be) don't have a contract with me stating that I can't) then I think I ought to be free to do whatever I like with that recording. I can understand that they might think if too many people record their sessions and pass them through to the outside world that eventually the conference numbers would drop, but seriously, that is such old skool thinking! That's the sort of thinking the RIAA uses to prevent piracy - if we let people share music then we won't sell as many albums - but surely an organisation like ISTE is a little more forward thinking? I would submit that, although I'm not able to get to NECC this year, there are a whole lot of other Australian edcuators that will be there and the main reason they will be coming, and that they are even aware of the conference, is because of the buzz created in the blogosphere each year. I'd suggest that NECC numbers are more likely to go UP rather than down because of the widespread sharing of conference presentations. C'mon ISTE! Get it together! It's wrong and it's silly, and I'd suggest without a contract saying otherwise, unenforceable anyway. Looks like ISTE responded to our concerns. 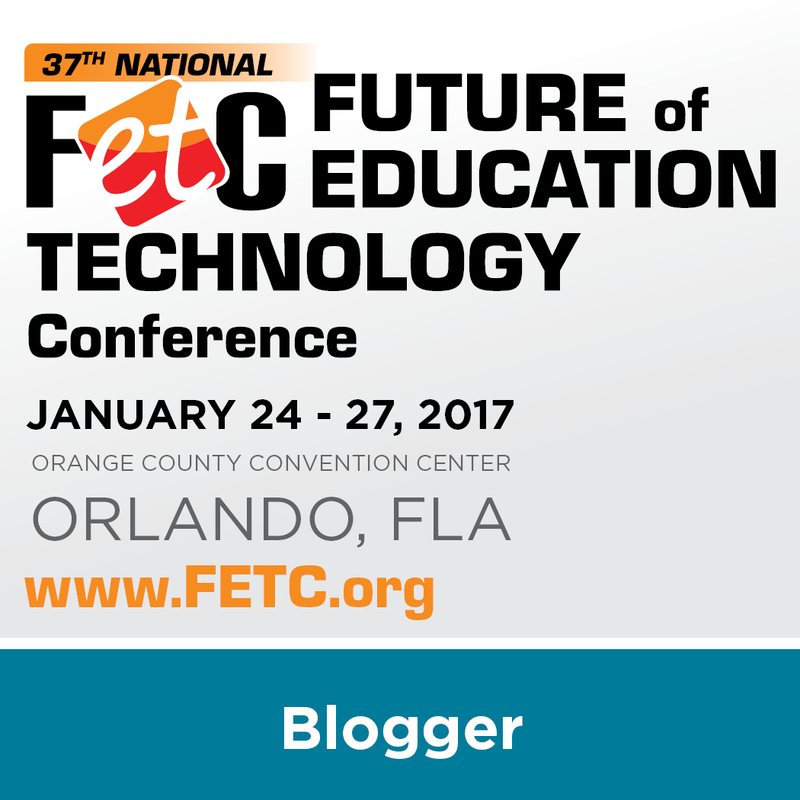 You still need to get the presenters permission, which makes perfect sense, but not ISTE's. The whole thing was just silly.